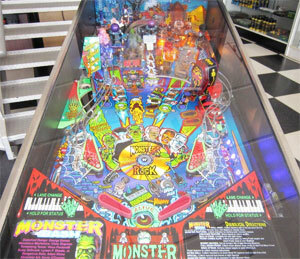 Check out these Monster Bash Pinball Machines for sale. 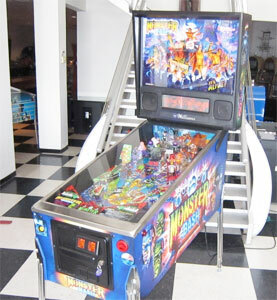 You will also find parts and accessories for current owners including the rubber ring kits, decals, manuals, translites, flyers, shooter rod, LED kit, tune-up kit, wolfman, frankenstein arm, plasma ring, and plastics. Along with Medievel Madness, this freaky Williams machine is always in various top ten lists.